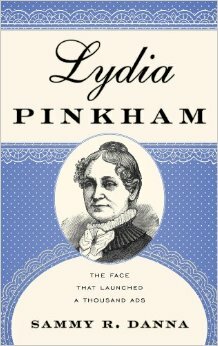 Lydia grew to be a politically active and educated teacher who attracted the eye of widow Isaac Pinkham. On paper Isaac looked an awful lot like her father as far as business sense goes, but it was all paper. 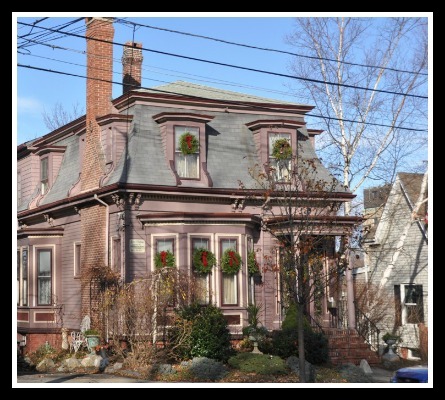 30 years, four children, several upward then downward home moves when the Panic of 1873 hit family finances hard. Isaac was emotionally down for the count and the family was fiscally ruined. 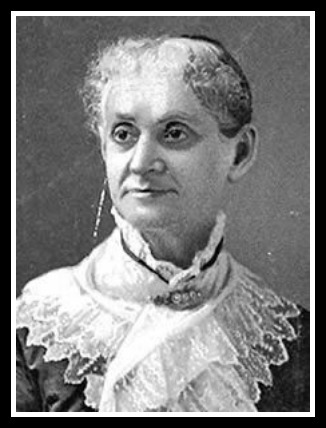 Lydia hadn’t spent the past years simply raising a family, decorating and un-decorating their homes, she was active in abolition and the women’s rights movement and had turned her interest in all things medical into a lot of practical experience as a midwife. She had and a whole 1800s medicine cabinet full of home brewed medications which she shared with neighbors and friends free of charge. 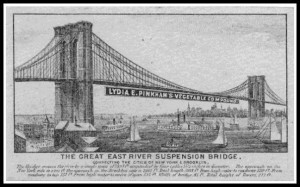 One of her remedies, a tonic for women’s ailments, was particularly popular and women traveled miles to get some from Lydia. 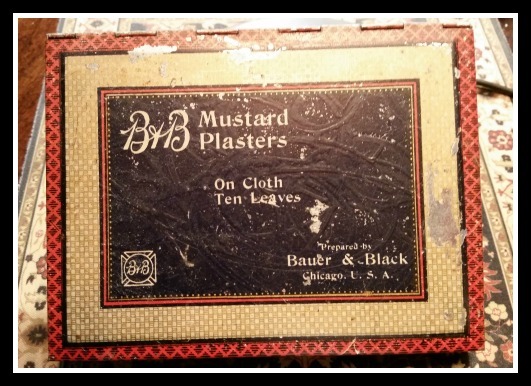 Some turn of the century medicine Beckett had in her bathroom. For decoration! sheesh. As always, we go into a lot more detail on her life, her family, her interests, the level of health care women were (not) given and 1800s medicine in general (oh, we looove some of those treatments) during the podcast. 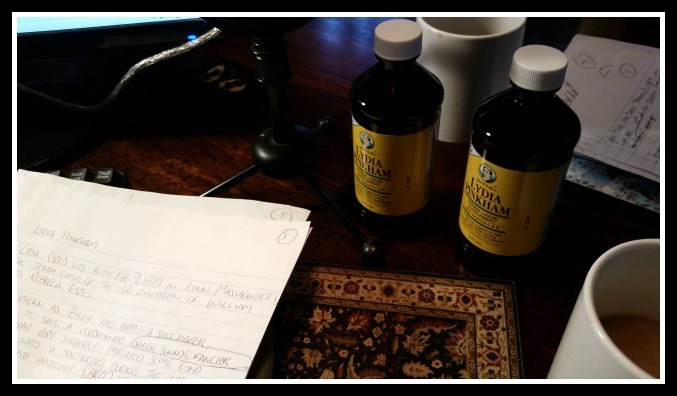 Let’s just say the market was pretty wide open for a person with a medicinal concoction and a place to manufacture it. The family decided that the best route to keeping their heads above water was Lydia’s medicines. Her background in home health and caring for women as well as her attention to cleanliness set her potion apart from all the rest. She began brewing and bottling in her house and wrote educational pamphlets to accompany each bottle of her Vegetable Compound. Her sons aggressively and creatively marketed the medicines first locally and then regionally. 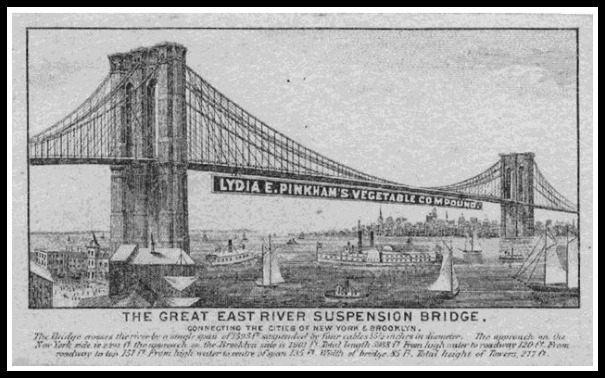 Through trade cards, newspaper ads and a number of unregulated sales techniques word spread about Lydia Pinkham’s Vegetable Compound. A revolutionary strategy of putting Lydia’s grandmotherly image on the label and marketing it to women was very successful. Females from adolescence through menopause were downing the bitter liquid that packed quite an alcohol punch and writing Lydia for advice which she freely gave. 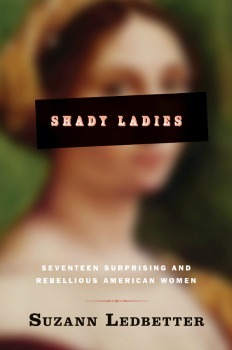 Or, rather, the women who worked for her freely gave under her guidance and signature. 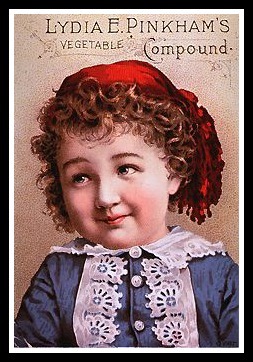 The hook portion of a trade card. We explain this creative (and collectible) marketing item in the podcast. If you believe ALL the hype on these cards, we have a bridge to sell you, too. 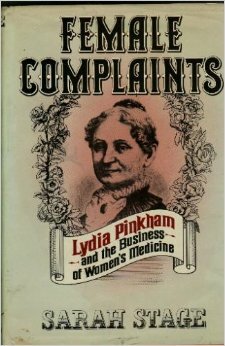 Lydia died in 1883 at the age of 64 after a lifetime as a champion of women’s health and education in era when women had little voice, little protection and a lot of misinformation. Her reformulated compound is still available and looks a lot like it did in Lydia’s lifetime. In addition to starting a fact based and life saving conversation about women’s health, becoming the most successful woman owned business of her time and creating a tonic that is still being used to this day, Lydia’s legacy lives on in pubs…Liddy the Pink! 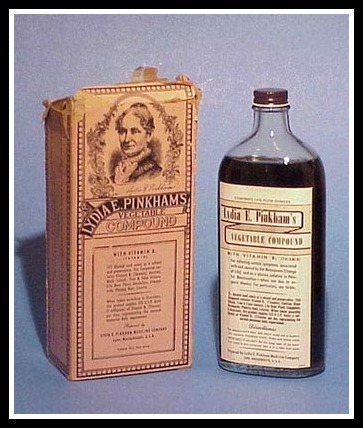 For a history of Patent Medicines (including many trade cards) visit the Pilgrim Hall Museum, and Balm of America:Patent Medicine Collection at Smithsonian’s online museum. It’s always a good day when we can send you to the online Museum of Menstruation! 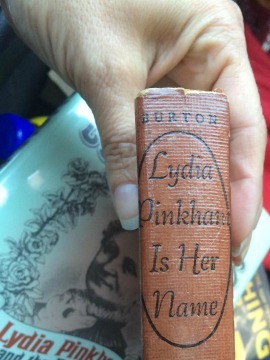 Lydia Pinkham is Her Name by Gene Burton (also available on Project Gutenberg and this actual book from the Kansas City Public Library is the one they digitized. If you listened you might want to see this. 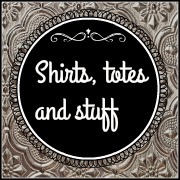 « A quick status update!